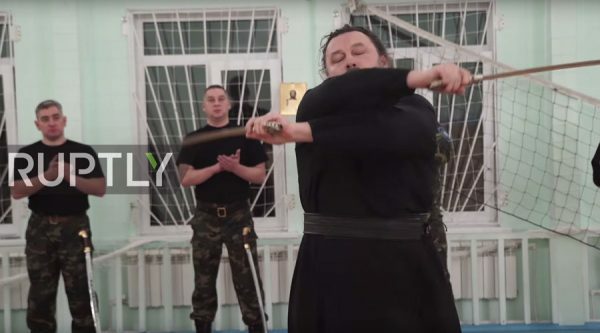 A Russian Orthodox priest from Siberia’s Yamal Peninsula has become famous for providing his flocks not only with spiritual guidance, but martial arts training as well. The man of God is an aikido master and a skilled swordsman. 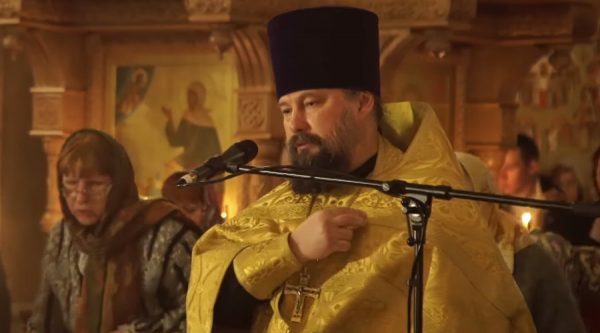 Archpriest Valery Kolesnikov at the St. Nicholas Church in the Cossack town of Gubkinski has gathered thousands of views after a video of his impressive swordplay was posted online. The video shows Kolesnikov engage in some graceful swordplay before demonstrating his impressive aikido moves. The cleric, who has a black belt in aikido, mastered the saber earlier this year. He trained on his own, using online videos as guidance, and achieved impressive results in less than two months. “I had to acquire certain self-defense skills and handling melee weapons to accustom people to the age-old traditions of Russian Cossacks and the Orthodox culture,” Kolesnikov told RT’s Ruptly video agency. The priest is now giving lessons to Cossack youths, teaching them both martial arts and handling melee weapons. Kolesnikov said the new skill has not only improved his physical form and self-confidence but has also allowed him to communicate his native Russian values to his parishioners. While Kolesnikov showed some interest in sports as a child, he resisted boxing and hand-to-hand fighting after he took his holy vows, as he believed the aggression involved went against the Orthodox canons and values. Aikido, on the other hand, is based on self-defense and the suppression of an opponent’s aggression, which is more in line with the priest’s religious beliefs.